Sometimes one needs to be a little daring and try out new things. Things such as grab bags filled with papery goodness. The listing already gives a pretty good idea of what you will receive and I was not disappointed with the variety I found in my lucky dip bag. Believe it or not, this is my first encounter with zines. Ever. To be perfectly honest, these wouldn't be anything I'd actually purchase by itself, but as part of the mix, with the added bonus of finding out what zines are actually about, they are totally ok. Definitely a fun surprise for me! How do you like the content of my lucky dip? 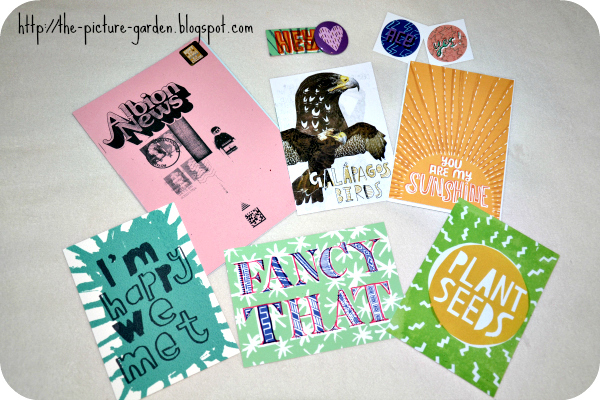 Are you familiar to zines or a newbie just like me? Please share. Look ... January is looming! With my brief winter break coming to an end you'll probably be quite curious about what the new year will bring, not just on my blog, but in general. Obviously I cannot help you out with looking into your own personal future (you might want to resort to those psychics on TV if you're adventurous enough and don't mind shelling out some cash for this), but I can already grant you a glimpse into what the next weeks and months will have in store for you here at The Picture Garden. Let's start with my not-so-new pet project, appropriately named Project 365. Back in 2010, long before this blog came to be, I had a similar (ad)venture on my Facebook page where I posted a photo a day. Of course it's not just going to be any old photos that will now be posted here on a daily basis, but I will spruce 'em up a bit too - think Pixlr and you get the general idea. And seeing how I just love a good surprise there are also plenty of The Lucky Dip reviews planned. Their format has received a slight overhaul, and dare I even say it, I will now upload a better quality of photos too instead of the snap-a-snappily-snapshot and upload it without running it through a bit of editing beforehand. I'm not trying to go all artsy with those, but better lighting should do for starters, ha. Other than that I also want to present several Austrian Etsy shops on my blog though these spotlights probably won't be happening before February. Then, of course, there are the crafty blog posts which I only had a select few in 2013 and which, for the time being, I've decided to put on the back burner. They might reappear eventually, so not all crafty hope is lost yet. Last but not least, the beauty box reviews had to go as they don't really fit the general blog theme anyway. Almost forgot, obviously there will also be lots of giveaways ahead as well! And seeing how you all seem to approve of the no-strings-attached-approach of the Easy Entry in the Rafflecopter, I will stick to that too. 'nuff said (or rather typed). See you all again tomorrow! I'll be taking a little winter blogging break until the end of December. See you all again next year which will be filled with some fresh new ideas and features that I'm already secretly working on! P.S. 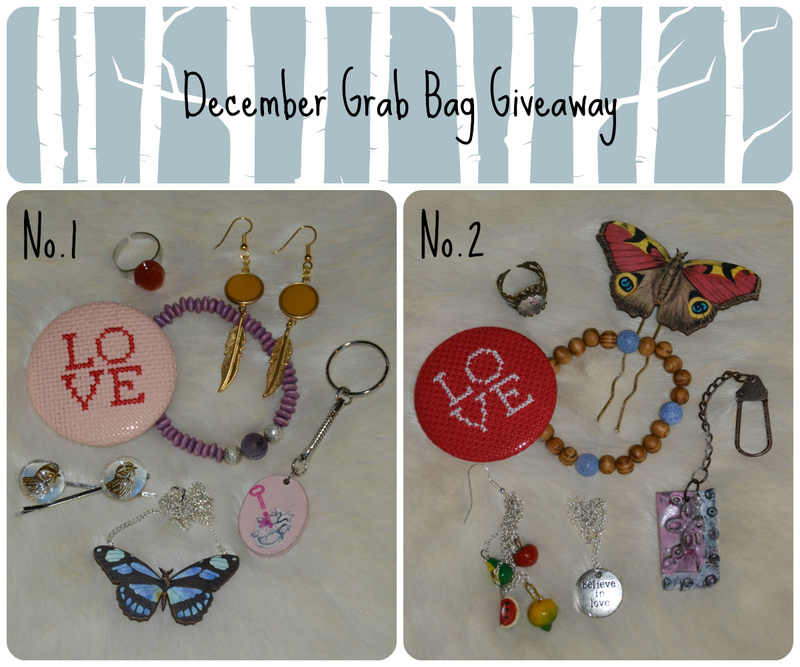 : Don't forget to enter the current giveaway to win your choice of two fantastic grab bags filled with handmade goodies! The Etsy Venture - Moving to new pastures! After some serious contemplation of where my Etsy shop is headed (or rather being stuck) I decided to put it on vacation for the time being, hopefully to return with fresh ideas and probably with a whole new angle too. Of course, this will still include me and my trusty camera. So far nothing is set in stone, plus you won't have to miss out on pretty pictures either as you may still purchase anything from greeting cards to posters by yours truly on RedBubble. Additionally I opened up shop on Cafepress this week though I am currently still in baby steps mode and have only uploaded a select few of my photos on a small (but hopefully appealing) range of products. Please feel free to let me know what you think about this idea of mine! Also if there are certain kind of products you'd like to see in the shop, go ahead and leave a comment below. You all know how much I love grab bags and I figured you'd probably like them too. To make things even more exciting I packed two grab bags for you, each includes a badge, a bracelet, a necklace, a ring, a hair accessory, a key ring, and a necklace (all these items have been presented in one of my Lucky Dip reviews on the blog). Please note that this giveaway is not sponsored by any of the Etsy shops who contributed to the grab bags - it's just my way of spreading (and sharing) the handmade love! Side Note: If you do not leave your country and choice of prize (grab bag No.1 or No.2) in the form I will delete your entry! !